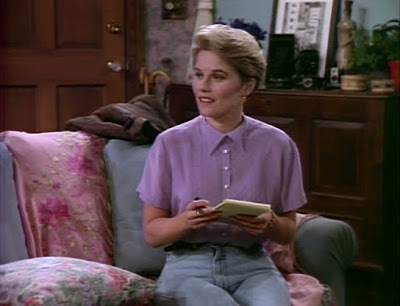 In 1989, Kate McNeil appeared in the first of two episodes she would do of the sitcom Anything But Love. 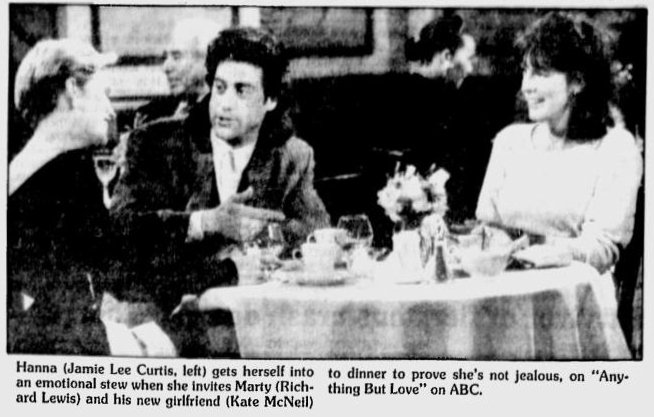 The show, which starred Jamie Lee Curtis and Richard Lewis, ran from 1989 to 1992 on the ABC network. Kate McNeil guest starred in two second season episodes playing Gail, the girlfriend of Richard Lewis' character. Earlier in 1989, Kate McNeil had done the first sitcom appearance of her career on the CBS sitcom Designing Women. In her first episode of Anything But Love, titled 'Hearts and Bones', Kate McNeil goes out to dinner with boyfriend Richard Lewis and his co-worker Jamie Lee Curtis. Jamie Lee Curtis ends up prematurely performing the Heimlich maneuver on Kate McNeil, breaking one of her ribs in the process. 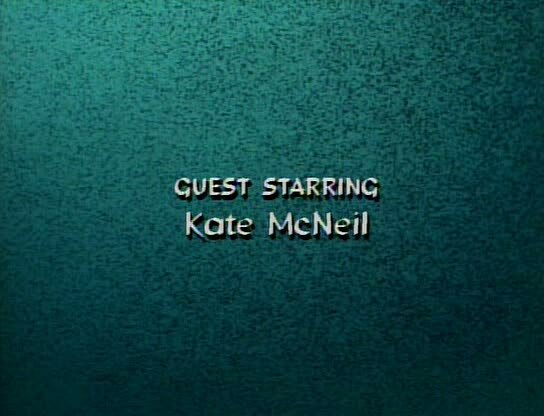 Later, at the hospital, she again injures Kate McNeil's character when she accidentally slams a door in her face. Richard Lewis begins to wonder whether she is subconsciously hurting his girlfriend. Several episodes later, Kate McNeil reprised her Gail character on Anything But Love. In the episode 'Partying Is Such Sweet Sorrow', Kate McNeil's character plans a surprise birthday party for her boyfriend Richard Lewis. 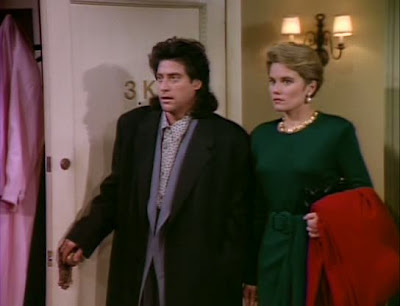 Richard Lewis, however, decides to end their relationship right as the party begins, leading to some awkward moments. 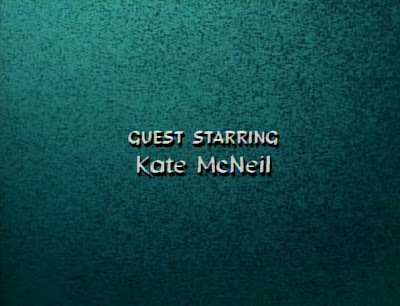 After appearing on Anything But Love, Kate McNeil would only ever do one other sitcom, an episode of Dear John in 1991. After that she would abandon the half hour situation comedy format altogether.